Our climate-controlled quality department is equipped with the latest inspection equipment which is calibrated by an accredited ISO/IEC 17025:2005 laboratory to ensure that we can hold and maintain our customers' stringent tolerances and quality requirements. We have the latest in measuring equipment i.e. 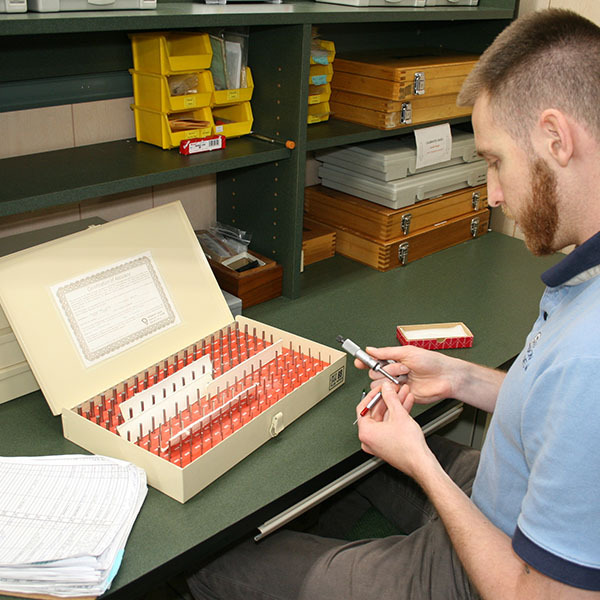 indicators, micrometers, air gauges for checking ID's, and computer aided comparators, both on the production floor and in the inspection department. Our high standard of quality is achieved through team work. Machine operators, cleaning room personnel and inspectors are all trained and expected to follow strict guidelines to ensure our product is always the best it can be, both visually and dimensionally. Used for precise measurement of ID's. 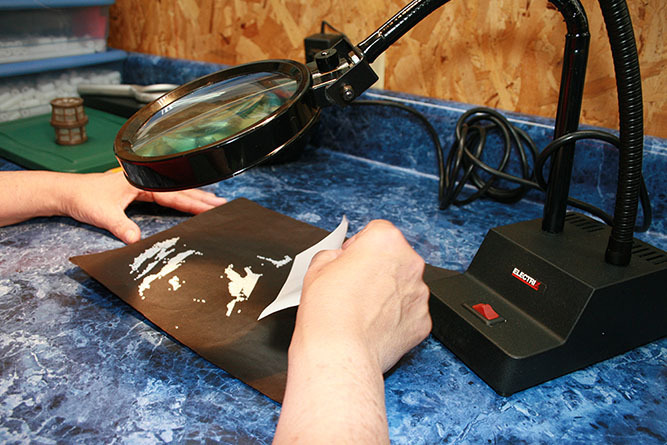 We use a profilometer for customers who need a "glass-like" finish. Used for precise measurement of ID's. 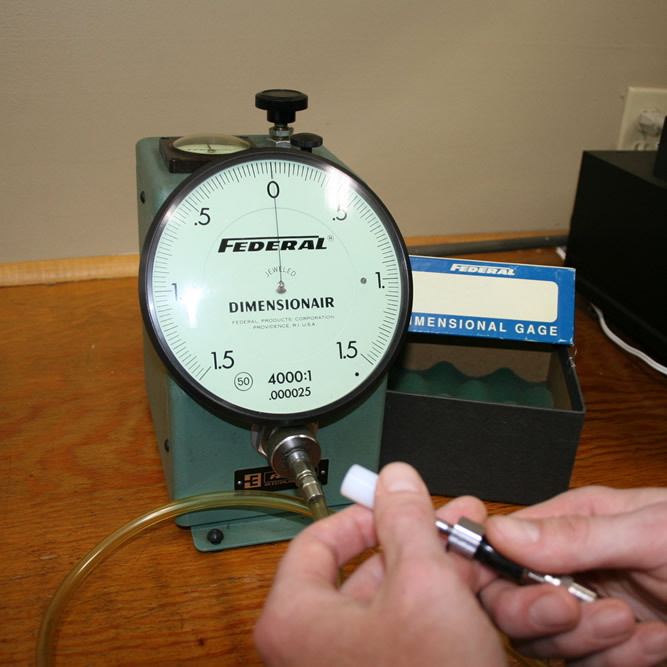 We have thousands of gages for checking all IDs, both plus and minus gages. 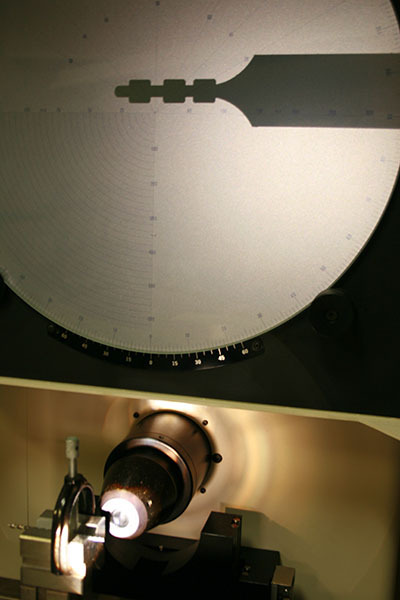 Visual comparators for checking both ODs & lengths of parts. Extremely small parts being looked at closely while being sorted. If quality, quantity and price are what you're looking for, we have the equipment to deliver. 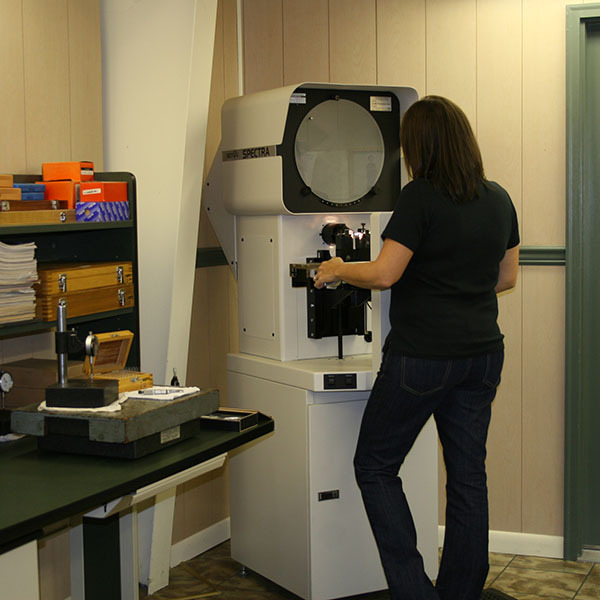 Our employees who are responsible for running the machines once they are set up, are highly trained with all measuring equipment necessary to ensure they are holding the tolerance required by our customers. They are also trained how to run each job or part once it is turned over to the operator. Each job has specific instructions as to stocking up the machines, what type and size material, the number of feet needed and how to measure the part.